We are pleased to introduce ourselves as leading manufactures in the field of shaper machine. Our firm established in 1966, and now our name is in high quality manufacturers. Our machines are most suitable for all common turning , surfacing and cutting operations with accuracy. Efficient workers have been employed . all the machines are thoroughly tried before dispatch. - Can also be designed for external gears depending on the job. Our organization marked a distinct and dynamic place in this industry by supplying the qualitative array of Chapati Shapes Cutter. Material: M35, T42, ASP 30. ASP 52 etc. We are dedicatedly involved in providing an excellent quality array of HSS Gear Shaper Cutter, for catering the various needs of our clients. 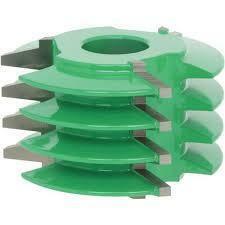 Efficient name in the industry involved in offering the optimum quality of Gear Shaper Cutter. 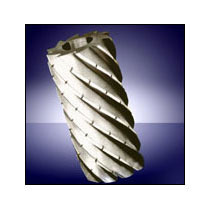 Leveraging upon our technologically progressive production facility, we are highly affianced in presenting V Groove Shaped Cutter to our respected customers.